With the trade dead-line approaching, we have heard about the possibiliitiy of Amare Stoudemire being moved, and many people stopped thinking about everything else. Something has happened today however that should be noted, The Maimi Heat have traded Shawn Marion! “For who?” you might ask, “Chris Bosh?” you might think. 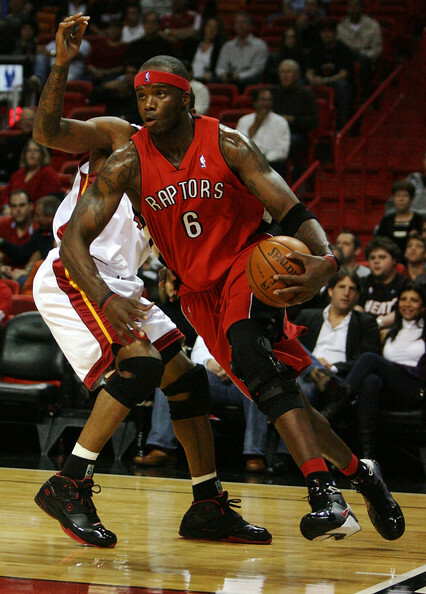 Nope not at all The Miami heat will send Marcus Banks and Shawn Marion to Toronto for Jermaine O’Neal and Jamario Moon. This is a trade that without a doubt the Miami Heat lose out on. Marcus Banks is a great up and comer as well as Shawn Marion being the second best player on this team, and what did they get? A bunch of chewed up role players who are literally 2 years away from retirement! Great Job Heat…I hope it works out for you! BAD TRADE= This one for HEAT!